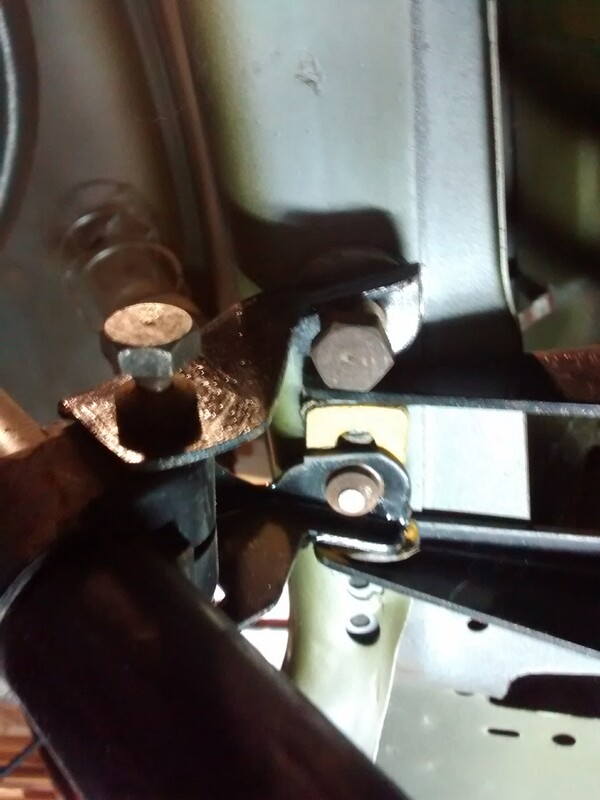 I am in the process of fitting a jig to my shell and have just removed the front subframe and laid up the fixing bracket that attaches to the large subframe bolts. The problem is this fouls on the bolts that retain the master cylinders and pedal box. How do these actually come out? Do I just knock them down or are they welded to the pedal box? I don't want to hit anything excessively if I don't need to, so any advice would be appreciated. Column and pedals are already removed, as are the two horizontal bolts that go into the bulkhead. Right thanks. That's what I thought. A job for another day. Well tomorrow. Carried on stripping the front subframe and burning out the rubber bushes so I can get the pivot bolt out. I thought it came out without when I did it years ago but maybe not. Post '76 the column bracket clamps the pedal box. Earlier cars have an extra pair of bolts through the parcel shelf. I think everything is removed so just need to get a bit of jiggling done, I think. There are some odd mounting plates once you remove the column upper bracket. I guess they have a special place when I come to rebuilding......way down the line. Oops! Too late. Already dismantled.